Innovative products for Industrial/Commercial Businesses, the Paint & Body Industry, Tire and Automotive Stores and Sign Installers worldwide. Frankly, to achieve a shine on metal is really no big deal... any number of brands produce shine. However, unlike those brands, our formula contains no silicones and no acids, no ammonia or grit that will scratch surfaces. Our formula is safe and foolproof on both clear-coated and uncoated surfaces - any type of metal or hard plastic. Leaves a long-lasting, clear protective barrier that retards tarnish, oxidation, film, dullness - for example, on wheels, our polymer system puts a barrier between the alloy and the dirt, making the wheels easier to clean and maintain. Also, our unique formula combines both a polish & sealer in one easy-on, easy-off application! Other brands simply do not seal in the shine, resulting in the need for frequent re-polishing. And this one product covers the full range of metal deterioration: from light to heavy - use on either coated or uncoated, billet, chrome etc. As for plastics... For example, there are kits that now sell for $35 to $75 to polish faded headlight lens covers and taillights. In most cases, Aluma-1 will do the same thing, for $12.95 or less! Before, owners and car dealers had to replace faded, oxidized, foggy, discolored or yellowed headlight covers. Now thanks to Aluma-1, they can bring back most, if not all of the clarity of the original cover! Aluma-1 works quickly and easily on headlights and taillights, as well as all hard plastics and glass...For example: it will polish-out cloudy Lexan windows on truck canopies and, used in conjunction with #0000 steel wool as per label instructions, it will remove water spots from glass windows!Aluma-1 is perfect for fiberglass boats and motorcycle windshields. 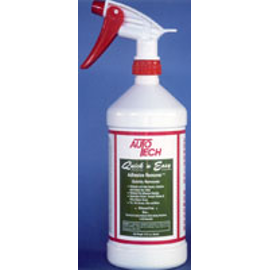 It outperforms fiberglass polishes/rubbing compounds, plus it seals the fiberglass. On motorcycle windshield plastic, it leaves an optically clear, durable coating to protect the clean surface. And it removes tree-sap from paint surfaces without damaging paint... it leaves the spot shiny and protected... all in one step! 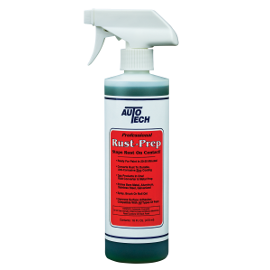 This versatile product safely removes: oxidation, stains, road film, brake dust, oxidized paint, paint scuffs & scuffs on plastic hubcaps! Simply soars above all other metal & plastic polishes! Endorsed By: Tool Box Manufacturers, Truckers, Tire/Wheel outlets, Fleets, Boaters, Musicians, Aviators, Fire & Law Enforcement, Body Shops, Auto Dealerships and Car Lots nationwide. Available in 8-oz. flip top bottle and quarts. "… We have tested over a dozen brands of polishes and cleaners on our diamond treadplate aluminum tool boxes … yours was the easiest to use and also had the best results … "
"... 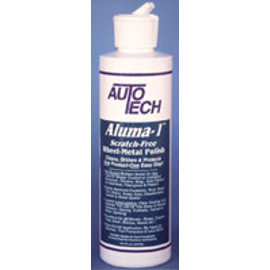 I have used Auto Tech Aluma-1 polish for about a year now and feel that it out performs all of the other products available on the market today. With its easy on and off application, it not only saves time and effort, but also gives a lasting durable shine that I could only get in the past after several hours of polishing and buffing. I would recommend this product to anyone who has sat at a buffing wheel for hours only to get a shine that Auto Tech Aluma-1 gives you in just minutes... I will recommend Auto Tech products to other race teams on the circuit... "
"... I am very pleased with the results of Aluma-1 ... I've been polishing for 14 years and have tried numerous products ... Aluma-1 has cut my polishing time in half! ... 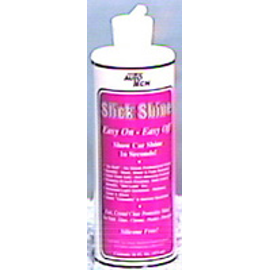 I use it on my oil company truck, my pick-up and my Harley Davidson ..."
Advanced spray-on formula effectively removes both oil and water-based stubborn adhesives and sticky substances in 60-90 seconds with no stain or damage to surface! Shop application fluid prevents damaged emblems, decals, stripes and graphics – eliminates bubbles, wrinkles, tears & holes and performs in extremely cold temperatures or high humidity with no lifting! Fast acting formula kills rust with paint ready surface in 20-30 minutes! 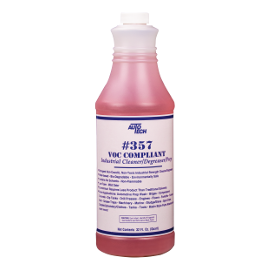 Concentrated water-based VOC compliant cleaner will clean/degrease the nastiest jobs, yet is safe and economical to use. 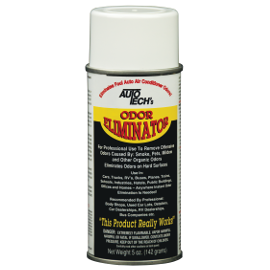 Auto Tech’s Odor Eliminator totally eliminates foul, offensive odors so they don’t come back! Adds a final shine to all hard surfaces with no smears, no streaks – even in full, hot sun – even of glass! Won’t scratch – leaves a smooth, optically clear, anti-static surface with luster! Safe, non-toxic, hypoallergenic, biodegradable, and fragrance-free cream dramatically improves and helps prevent dry, chafed and cracked skin. Unlike typical polishes, this unique formula produces an outstanding, deep shine with easy-on, easy-off application! No buffing required, no streaking, non-abrasive and clear-coat safe. 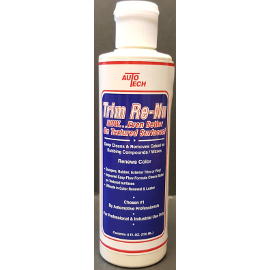 The original exterior formula that instantly removes unwanted wax and compounds from textured bumpers and trim. 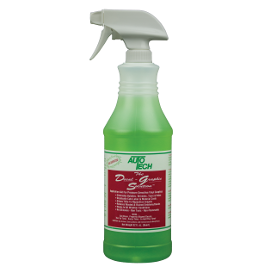 Penetrates deep into the textured plastic and dissolves the wax/polishes/compounds that can cause unsightly dulling and streaking. 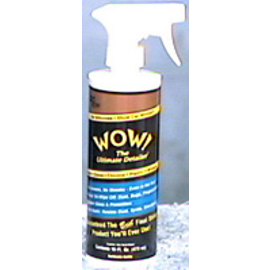 Conditions, softens and protects leather and vinyl. Totally dries – leaves no oily or greasy film.